A lot of moms who have twins say that they knew that they were going to have twins really early on, even before the doctor said so. Now, I’m not saying that we have some sort of unexplained connection with our bodies that allow us to know what’s going on before anyone else does (although that would explain a lot…) but the early pregnancy symptoms with twins can be really obvious, especially if you know what you’re looking for. What are the symptoms of carrying twins? Like we said in our article on the symptoms that you’re having twins, when you’re having twins you should be looking for the sorts of things that happen in normal pregnancy, only bigger and stronger. The ‘biggest’ thing (pun intended,) that a lot of women notice is simply how much bigger they are early on, compared to other women. The reason for this is obvious. You’re carrying two babies instead of one, and they both need their own space! Powerful feelings of nausea, especially early on. We all know about morning sickness, but because there’s more of the hormones that cause it in your body when you’re having twins, you’re more likely to experience it. Incontinence, or just needing to pee more often. The increased pressure on your body from carrying two babies right over your bladder causes you to need to pee more often, and can unfortunately cause incontinence. Painful breasts. Again, this is caused by hormonal changes, and two babies equals more hormones, equals more changes. Strong uterine cramps. Twin pregnancy can cause the uterus to expand quicker than normal, which is why this is particularly likely for women carrying twins. Exhaustion and a pounding heart. Your body is working extra hard to provide for your twins, so the stress placed on it is so much heavier than for a singleton baby. Higher levels of hCG. 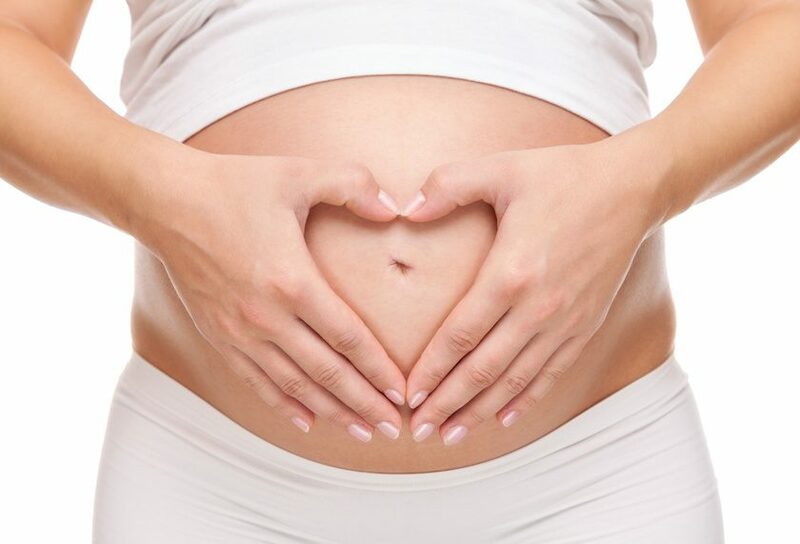 Human chorionic gonadotropin causes a lot of the changes that happen in pregnancy, and your body is smart, so when you have two babies, the levels of hCG also rise accordingly. What are the most likely symptoms of carrying twins in the first trimester? There are certain things that most mothers will experience when they’re pregnant with twins, which we’ll go into below. But bear in mind that pregnancy is different for every woman, and there’s absolutely nothing that you can rely on as a completely certain sign that you’re having twins. Where one woman might suffer from one particular symptom especially heavily, another woman might not actually even experience it. Saying that, here’s the most likely symptoms that you’re having twins in the first trimester, and why. A lot of women experience uterine cramping during their pregnancy, if you’re pregnant with twins you’re more likely to experience uterine cramps and they’re more likely to last longer and be stronger and more painful. The reason for this is purely mechanics. Your uterus is designed to comfortably accommodate one growing baby, and even though our bodies are marvellous machines and can stretch to deal with twins, it’s not a thing that most women have to deal with, and it puts a lot of strain on your body. Some women are lucky enough to avoid morning sickness altogether, but for the rest of us, it’s just something that we have to learn to live with it. No one actually knows what causes morning sickness, but the most likely explanation is the increased levels of hCG in the body. So when you’re carrying twins and have even higher levels of hCG in your body than normal, if you suffer from morning sickness it’s fair to say that your morning sickness symptoms are going to be worse and even more debilitating. An awful lot of women with twins show early and always seem to be further along in their pregnancy than women who are only carrying single babies. It’s pretty simple, really. Even though both twins are generally smaller and lighter than a singleton baby at the same term, you’re holding two of them inside of you, which is gonna take up an awful lot of room. There’s also the fact that the weight gain, fat gain and fluid retention that comes with pregnancy is normally greater when you’re pregnant with twins, because there’s more of the hormones that cause these changes in your body. This is another hormonal issue, and the reason for it is pretty much the same as all of the rest. The hormone changes affect your body and brain chemistry, which causes major changes in your body. Again, if you’ve got a higher concentration of pregnancy hormones in your body, then if you’re unlucky enough to suffer from emotional changes, it’s also likely going to affect you more and hit you far harder? Remember, every pregnancy is different, and every twinny pregnancy doubly so. There’s no guarantee that you’re going to have all, or even any of these symptoms. The only reliable way to know that you’re going to have twins is to have a scan that shows twins! 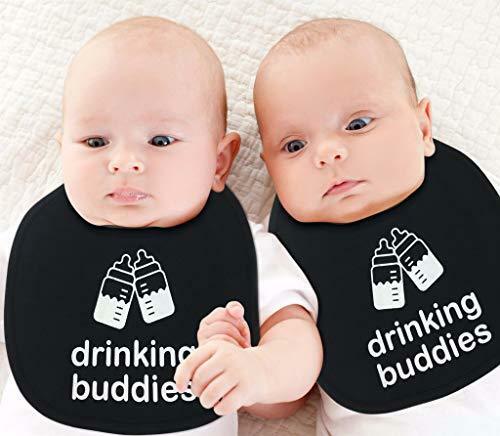 Saying that, there’s nothing that says that the signs don’t make it more likely, so if you’ve got any of these signs of twins, you might be lucky enough to be blessed with twin treasures! When did you find out you were having twins, and did you know before your scan? Did you experience these early pregnancy symptoms with twins and how did it make you feel? Let us know in the comments below! I found out on Jan 13 2018 i was having scans because i had to take a trip to the ER for dehydration cuz I’ve defiantly had the more severe symptoms spot i had a feeling but also I have a twin sister and she had twin girls now I’m having twins so i prepared myself for news of 2 babies!! !